Saito Sensei 9th dan, who was born on 31 March 1928, was renowned as a superior exponent and teacher of Aikido who dedicated his life to passing on the Aikido taught to him by the founder, and in particular, the study of its traditional weapon technique. Saito Sensei was unique amongst Aikido teachers to have spent 23 years in direct association with O’Sensei which allowed him to gain a thorough understanding of the interrelationship between taijutsu (body-art), ken (sword) and jo (staff) practice. Because of the excellence of his teaching, his expansive knowledge of Aikido techniques and his unique position as the only student to have spent such a long period training with O’Sensei, particularly during the time when O’Sensei was completing the formation of Aikido, people from around the world travelled to the Iwama Dojo to learn directly from Saito Sensei. He reciprocated, travelling regularly to many countries to give seminars. Saito Sensei possessed an encyclopaediac knowledge of Aikido forms and published many technical books of Aikido techniques. On his many trips abroad he generously allowed his techniques to be videotaped for further study, which still today provides a unique resource to the many students around the world. The practice at Iwama Dojo came to be known by many students as “Iwama Style”. But Saito Sensei always insisted that he was only teaching the Aikido forms which he had learnt from O’Sensei. His view was proved to be correct with the discovery and publication of O’Sensei’s 1938 manual, “Budo”. A kind and gracious teacher, Saito Sensei passed away on 13 May 2002 aged 74. Today his many students are carrying on his legacy by continuing the practice of O’Sensei’s Aikido. All senior instructors of the Takemusu Aiki Association Inc in Australia have spent time studying in Iwama and are long term students of Saito Sensei. 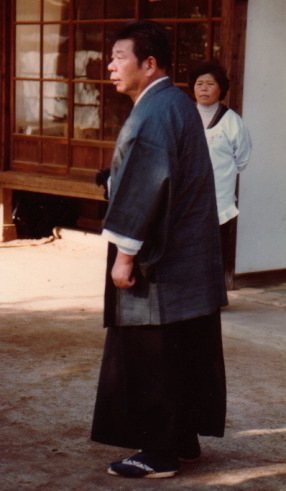 “By the late 1950s, Saito Sensei had become a powerhouse and one of the top shihan in the Aikikai system, teaching regularly at the Iwama Dojo in Ueshiba’s absence. He also began instructing on a weekly basis at the Aikikai Hombu Dojo in Tokyo starting in 1961 and was the only teacher besides the founder himself to be permitted to teach aiki weapons there. His classes were very popular and many Tokyo students would gather on Sunday mornings to practice taijutsu and the aiki ken and jo with him. When the founder passed away in April 1969, Saito became dojo-cho of the Iwama Dojo and was also entrusted to take care of the Aiki Shrine Morihei Ueshiba had built nearby. It was the publication in 1973 of the first of what was to become a five-volume series of Japanese-English technical books that established Saito Sensei’s reputation as the foremost technician among aikido shihan. These volumes contain hundreds of aiki techniques, including taijutsu, aiki ken and jo, and kaeshiwaza. These technical manuals introduced a classification system and nomenclature for aikido techniques that has since achieved wide acceptance. In addition, instructional films were offered to supplement the books and were enthusiastically received. Those of us who were his students and had the pleasure of studying with him in Iwama cannot forget Saito Sensei’s technical prowess, good humour, kindness and his devotion to the memory of O’Sensei and his desire to preserve O’Sensei’s Aikido for following generations. 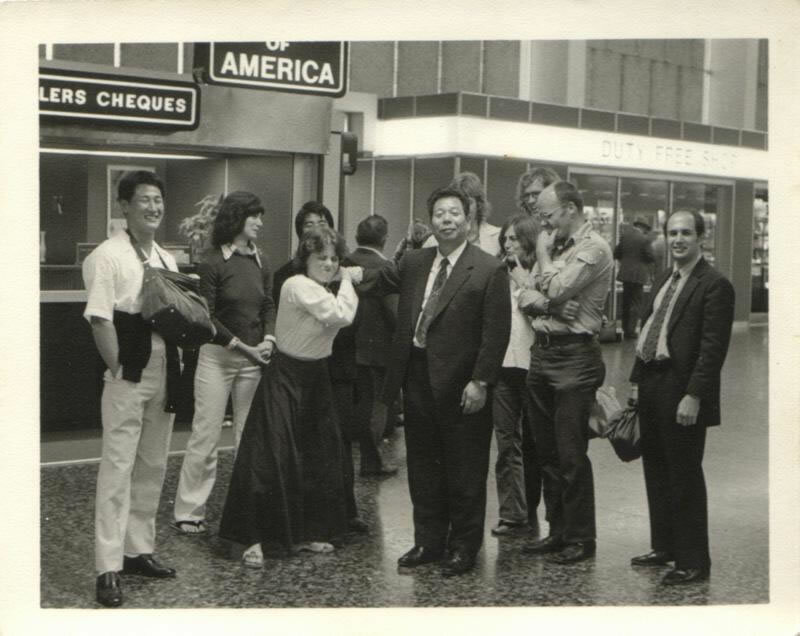 Please read the full text of Chiba Sensei’s elegy here: Remembering Morihiro Saito Sensei. A wonderful website has been set up by Patricia Yarrow, featuring photographs of the personal as well as Aikido moments from Saito Sensei’s life of devotion and kindness.